Lulu's Garden: Plums in Tums! 1. Start with the topping. Grease a 23cm-diameter round cake tin, then melt the butter in a pan. Stir in the sugar until the mixture is foamy and pale, about 2–3 minutes. (If it starts to separate, take it off the heat and keep stirring.) Pour into the cake tin and spread evenly. Arrange the plum slices in concentric circles over the topping, then put to one side. 2. Preheat the oven to 180C/gas 4. Cream together the butter and sugar. 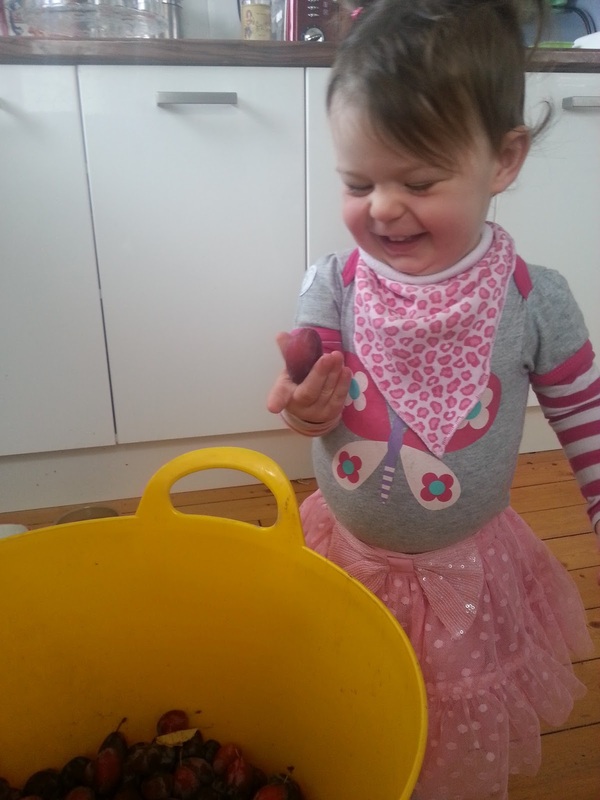 Beat in a quarter of the eggs at a time, mixing thoroughly between each addition. Stir in the ground almonds, baking powder, salt and vanilla extract. Fold in the flour, then stir through the chopped/bashed almonds. 3. 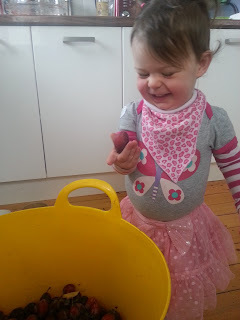 Pour the cake mixture over the plums. Place the cake tin on a baking tray and bake for about 1 hour or until golden and a skewer comes out clean. 4 Rest the cake on a wire rack for 2 minutes before sliding a knife around the edge to loosen it. Place your serving plate over the top of the cake and carefully invert onto the plate, avoiding any juices that may escape. Gently remove the tin and replace any dislodged pieces of fruit. Serve with custard, crème fraîche or ice cream. Hope you love it as much as me! There are lots of other lovely things you can do with plums from crumbles and chutneys to dipping sauces and jams. 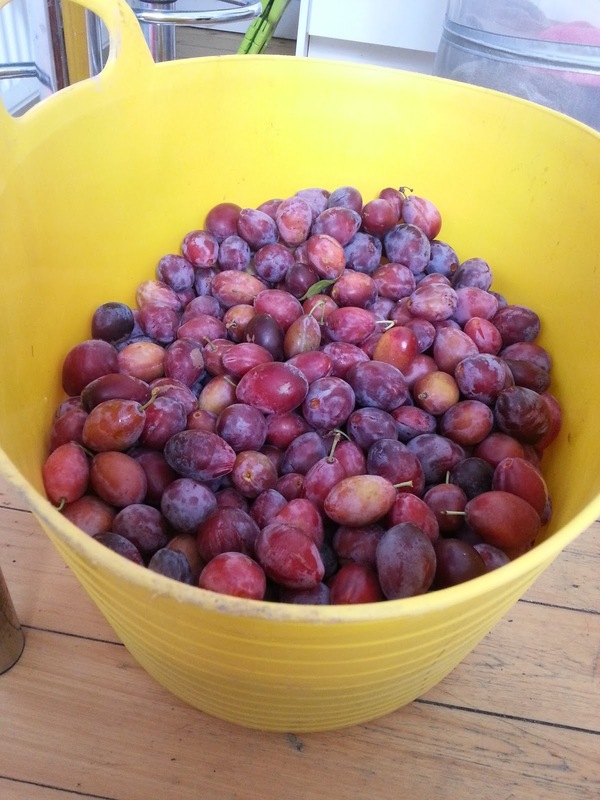 Plums can easily be frozen too - just cut in half, remove the stone and lay them on a baking tray with cling film over them. Once frozen, bag them and they will keep all winter and won't all be stuck together in one big lump! Ta dah! Yummy cakes at Vialii Towers all winter, yay! 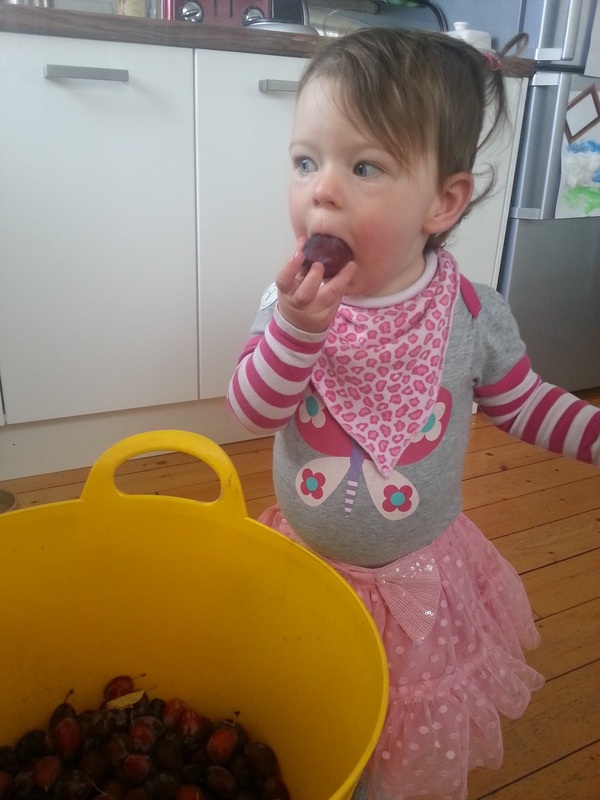 Or of course you can just eat the plums! 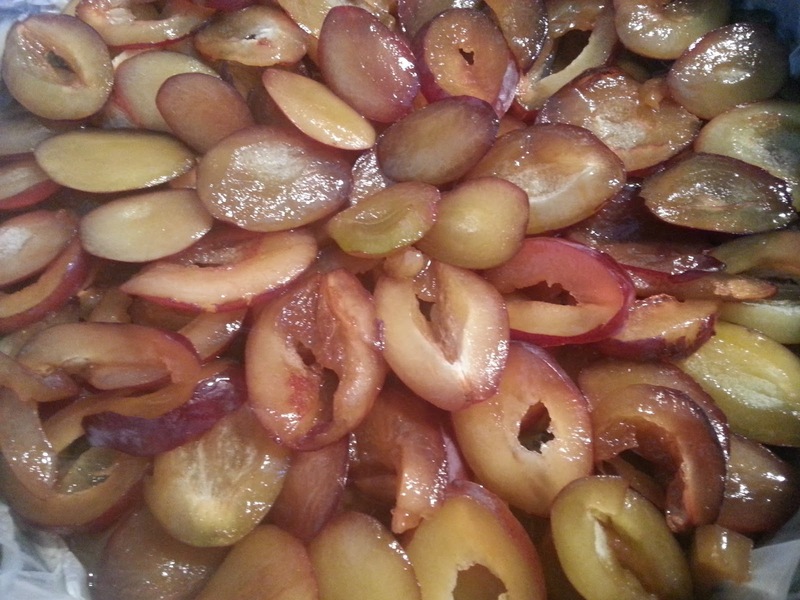 You have prepared nice recipe on plum cakes. This is looking delicious and interesting.